Originally found in the ’06 M5, the 1 Series M also features the nondescript M button hidden amongst the steering wheel controls. What does it do? In short, it presses you even further into the back of the seat and causes an increased grip on the steering wheel and a white knuckling effect, all while providing a higher peak boost and even more impressive throttle response. It’s amazingly direct. Approach an on ramp, step on the gas, then press the M button and there is a very distinct difference. The M button access an increased boost which peaks out at 369 foot pounds of torque adding to the responsive and powerful feel of the car. It’s incredibly fun! On the twisty roads of Norcal, the car displayed a great balance. Typically, most street cars are built to understeer for safety. The 1 Series M actually felt more neutral. Turn in was precise and the car didn’t exhibit any real body roll. The sports suspension is evident and combined with the wider track compared to the 135, cornering transitions quickly from left to right and right to left were razor sharp and lightning quick. It is a very “flickable” car as it handles quick directional transitions with ease and calm. This car does make you a better driver. Given the history of BMW Motorsport, I’m not too surprised, but I’m very impressed. 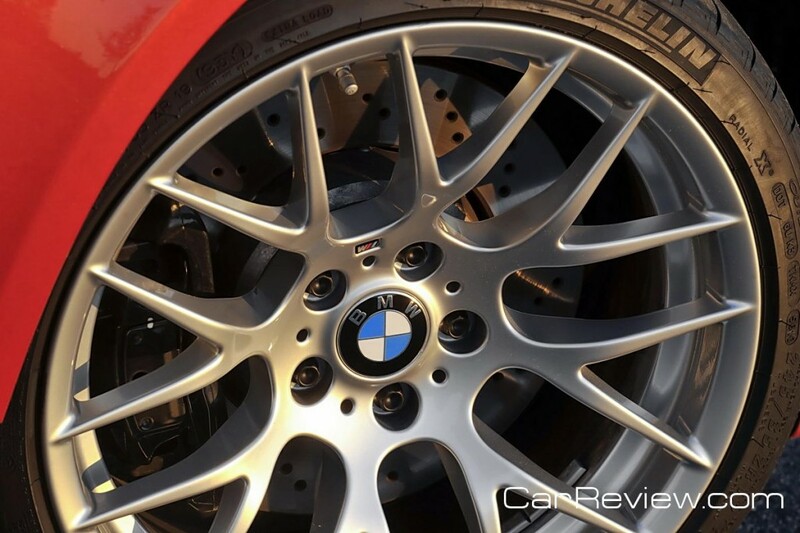 The 1 Series M comes with the big lightweight 19-inch M3 wheels. This diameter is essential as the wheels need to squeeze over the big 14-inch cross drilled and vented floating rotors and calipers. Stopping power for a car of this size is not an issue. It’s tough to miss the signature kidney grills of a BMW. 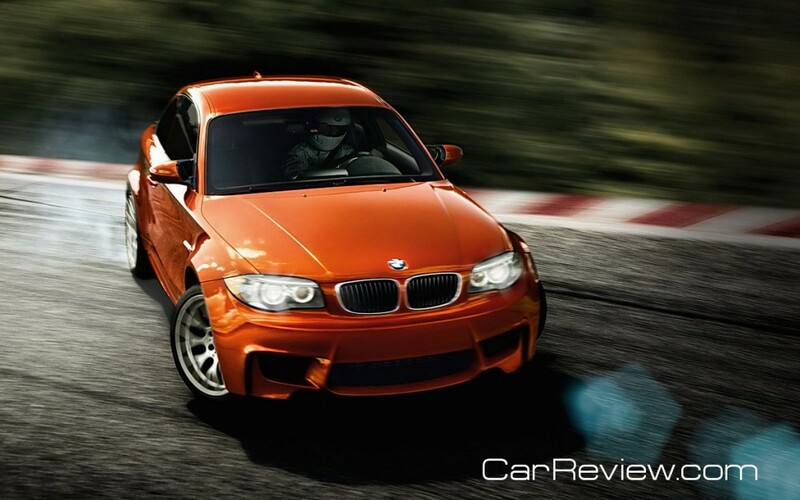 The 1 Series M is a beautiful car, especially as your eyes move from the aggressive M3/M5 style front bumper down the sides of the car and over the muscular widebody fenders. Upon seeing it, some may not be able to distinguish it immediately from a standard 1 Series, but that’s okay. Once inside and driving down the road, you will know that this car is special immediately. Inside, cockpit is driving simplicity. Everything is within easy access. Nothing is unnecessary and the layout is simple and concise. Lots of luxurious Boston leather detail make it a very comfortable driving compartment to settle into. I would have loved to have more time with the car, but with limited timing, I wasn’t able to really dive into the car under longer drive conditions. A long road trip to Southern California would have been a great test over the twisty roads of Highway 1. However, the short time spent in this car was plenty to make me yearn for more and more M Power in the future.